Whether it is electronics or dinnerware, to pack and move items securely is important. However, when it comes to fine art and antiques, to pack and move them securely is crucial. After all, most collectibles are unique and cannot be easily replaced in case of damage. Moreover, what if your box with a valuable and fragile artwork will be stacked under another box/crate with something heavy inside due to improper handling? Most likely, you do not want it to happen even if this piece of art is insured. So the question is how to avoid damage and protect your valuables during the move? Fine art moving service in NYC is the answer! At Fine Art Shippers, we provide professional art packing services, using the best type of packaging material to ensure that every item is properly protected in transit. 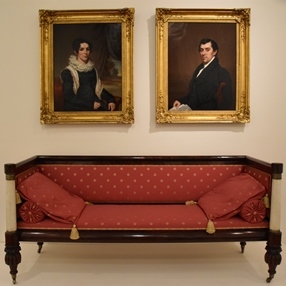 Furthermore, our team of experienced New York antique movers is proficient in packing and moving all possible kinds of art, from paintings and small decorative accessories to cast iron collectibles and luxury furniture pieces. However, the most important part of our packing service is that we not just pack art in cardboard boxes – we additionally build custom wood crates for almost any piece that needs to be transported. Such an approach makes our company the best place to come for professional help if you want your most valuable possessions to be delivered in their perfect condition. It is needless to say that whether it comes to fine art moving in NYC or across the country, we pay particular attention to careful handling and protection of every item at each stage of the transportation process. If the artwork you are sending out is unique, fragile, valuable, expensive, or simply too large and heavy to handle it without extra help, to order fine art moving services in NYC is the only smart solution. Moreover, if you choose the right company, it won’t cost you a fortune. For example, at Fine Art Shippers, we offer a full range of art and antique moving services at reasonable prices to meet the budget of any client, so if you are looking for the most cost-effective solution, you are exactly where you have to be. Whatever fine art moving help in NYC you need, our team will offer a comprehensive solution without breaking the bank!